The process listed below is ONLY for Licensed ECA Members who desire to be Ordained. Please follow the instructions below after determining if you meet the academic and experience requirements for Ordination. As detailed on our Apply Today Page, Ordained Ministers must have met the minimum Academics of either a degree in Biblical or Ministerial studies or have completed the 16 required courses listed on our Bible Extension Institute Page. The experience qualifications require that one being considered for Ordination have been a Licensed Minister for a period of two years. If you have met these requirements, we will be glad to assist you with the process of amending your membership status from a Licensed Minister to an Ordained Minister with the ECA. Request for Ordination Form which is available below. Submit an updated resume of your ministry career which is available below. Statement of Doctrine (Please limit your statement to two pages.) This statement should include your position on the following areas: The Trinity, Salvation, Baptism and the inspiration and inerrancy of the Word of God. Any additional educational transcripts sent directly to the ECA from the institution. Arrange to have your supervisor complete the Referral for Ordination Form which is attached below. This document must be sent directly to the ECA from the supervisor. Dues and Annual Reports must be current. If you are employed by a para-church organization, your immediate supervisor must provide these documents. If you are the senior employee of the organization, the senior pastor of the church which you attend regularly, or one of your organization’s board members may submit these documents. If you serve on staff with a church, your senior pastor must provide these documents. If you are the senior pastor of your church, please have one of your church elders or board members submit these documents. Once we receive the Request for Ordination and Referral for Ordination forms, along with your transcript(s); we will evaluate your file and contact you by email. Upon completion of your packet and its approval, your final steps will include an Examination Interview by a committee and an Ordination Ceremony. The ECA carefully processes any request for upgrade to ordination to assess qualifications accordingly. 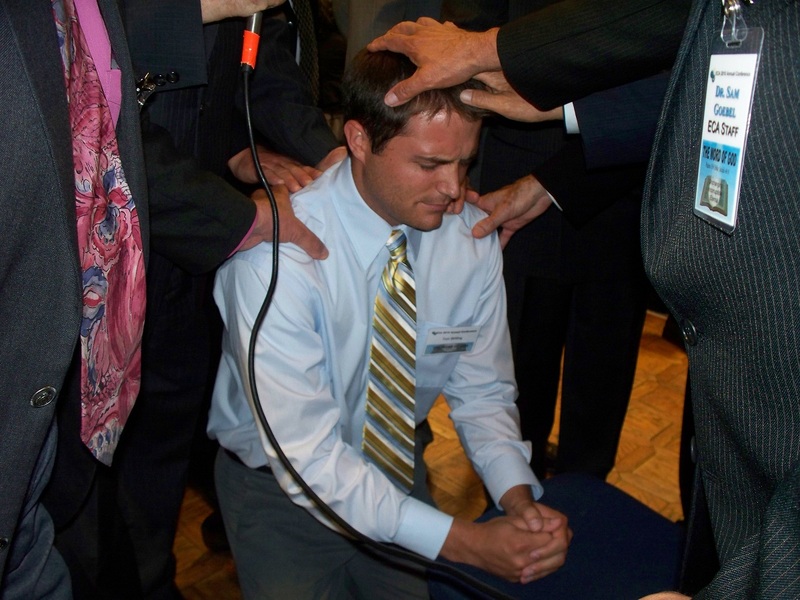 When a member meets all the requirements for ordination with the ECA, a personal Oral Examination will be conducted at one of our official Gathering/Conferences held across the United States and in Canada. Providing the member passes the examination, an ordination service will be scheduled the following day. In addition, understand that all upgrades are processed in the order in which we receive them. Please submit all documents to ECA, PO Box 9, Bradley, IL 60915 or by Email: [email protected] or Fax: 815-937-0001. Send a copy of the link below to whom you have chosen to be your referral. Click here to download a Resume sample guideline. While most resumes reflect a person’s history, from the perspective of searching for a job, an appropriate resume needed by the ECA for consideration of ministry credentials would include a detailed history of a person's biblical and ministerial education, training, and experience. As shown on the sample, please provide the organization's name and address, your supervisor's name(s), tenure, and job details for each ministry position that you held. All documents from the ECA website are PDF's and require that you have Adobe Reader. If you do not have Adobe Reader Version 8.0 or newer, you may download it here.